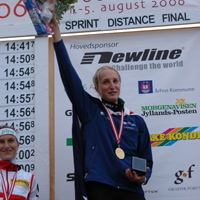 If you live in the world of Orienteering, you’ll know exactly who Hanny Allston is – she’s kind of a big deal, in fact she’s more than that, she’s a World Champion and was also the first non-European to win that title. 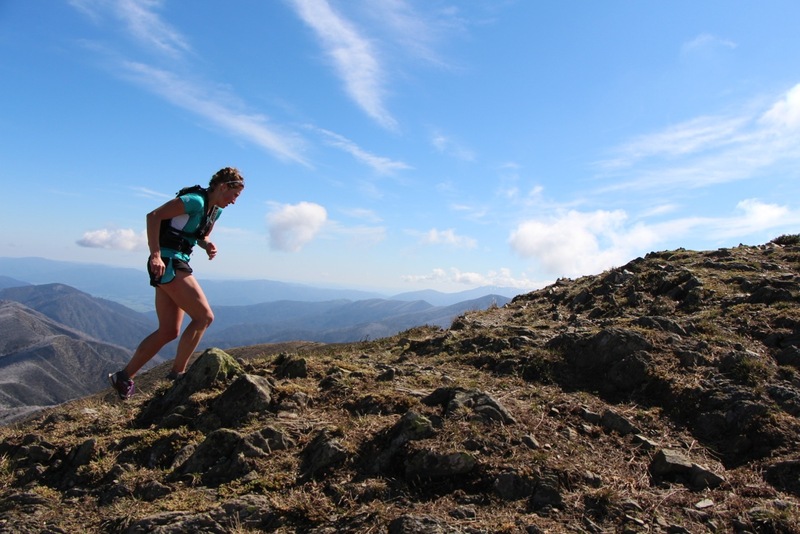 Back in 2006, her win at Cradle Mountain went somewhat under the radar, but her recent win in this year’s event perked up a few eyebrows in the trail and ultra scene. She smashed the women’s course record by over an hour and gave quite a few of men up front a run for their money too. So who is Hanny, what has she done and why is an orienteering world champion making the move into trail and ultra running? A quick glance at her achievements (see below at the end of the article as well) put’s everything into perspective. She’s a 34 minute 10km runner, a smattering over 9 mins for 3km, 2:40 marathon runner and after speaking with her earlier this week, was borderline qualification for the London Olympic Games for the women’s marathon. The term ‘elite’ get’s banded around a fair bit, but here is a woman who is truly playing in that field. Along with Marty Dent’s move to the 100km last week at Stromlo, it’s massively exciting to see these guys and gals cross-over and try their hand at trail and ultra running. I was lucky enough to grab some time on the phone with Hanny earlier this week to delve a little more into her plans for the rest of the year and what’s made her think about moving over to trail and ultra running. I’m from Tasmania originally, so it was a pretty easy decision to enter the race because it’s such a beautiful course. I’ve recently moved to Canberra to take up a job there and took my coaching business with me (Find Your Feet). I started to get more and more ultra runners come along to my sessions, and that inspired me to think about giving it another go. Having been at the elite end of Orienteering and road running for many years, I love the relaxed and informal nature of trail running. It’s a nice break from the complex training structures and pressure of performing at the highest level, so it’s something I’ll be doing more of over the years. Orienteering is still very much in my heart and I’ll be continuing with that, but trail running is something that gives me a real buzz. You’re a very accomplished road runner as well, and very close to qualification for the Aussie Olympic team. What lessons do you think ultra runners can learn from the road guys? I think the main thing is learning how to run quickly. I think there’s a tendency for ultra runners to be sucked into running massive kilometers and they sacrifice the speed element of training too much. It’s a fine line between getting the mileage in the legs, but making sure you can run quickly. In recent years, I’ve cut back on the volume hugely and focused purely on quality. Sometimes my sessions will last only 30-45 minutes, but every single second of those sessions focuses on going hard and maintaining the quality. If you can’t run quickly, then you’re not going to improve your times. Similarly, we’re seeing quite a few of the Orienteering and Rogain crowd moving into ultras, and doing very well too. What is it about these disciplines that makes them successful? While orienteering and rogain are very different, I think it’s the fact that those involved are used to running over very rough and varied terrain, and sometimes for very long periods of time too. As I mentioned, the focus is very much on quality. I have my coaching business, so I’m always out and about running with clients. I also am a huge believer in having a rest if my body is telling me too. Again, as runners we can get so caught up in making sure we run each and every day and racking up the miles. When I competed at the elite end of running and orienteering, there is a certain level you need to be pushing at week in, week out, but with that comes the risk of injury too. Since stepping away from the elite end of the sport, my focus has been on the short sharp sessions that will be mainly speed work and hills. My long runs will barely go over two and half hours at the weekend, but I’m also very lucky to be training with some very accomplished runners, so we all learn from each other, but rest is a very important aspect of my training too. My advice is to make sure you build that into your programme. Having just competed Cradle, I do have a few other trail runs lined up, I’m planning to keeping my racing schedule balanced throughout 2013 with some trail races, ultras and orienteering. Saying that I will be doing the North Face 50km having recently secured a sponsorship with them. I’ve also been running some training camps for North Face in the lead-up to the race, so I’m really looking forward to seeing how I go there and how the guys I’ve been running with will too. The event has grown hugely in the last few years and is pretty much the number one ultra race in Australia, with a great pedigree of runners taking part each year. Any ambitions to step up to the bigger ultra distances? I think for now, the focus will be on the shorter ultra distances if you can call it that! I’m very conscious of taking my time towards building up to these distances and not getting injured. I’ve spent far too much time on the sidelines before, which is why I’m a big advocate of making sure rest and recovery is a part of your training programmes. In 2009 she established a coaching service, Find Your Feet, to assist runners of all abilities to achieve their athletic ambitions. Hanny has tertiary degrees in Medical Science, Education, Life & Health Coaching, and Business. She also worked for 12 months at the Australian Institute of Sport in the lead-up to the London 2012 Olympic Games. Thanks to Hanny for taking the time out to speak with us, and we’ll hopefully see her on the trails soon. I was loving what I was reading until I got to the “North Face 50” bit. Is Hanny scared about playing with the big guns in the 100? Not at all Jane. She’s already played with the big guns at cradle. Having spoken to her, it’s more about body management and choosing your races carefully. Most of us only have 1-2 ‘A’ races in us a year, and someone of Hanny’s age has years of running ahead of her. Nowadays you see so many people who are ‘broken’ because of too much racing and years of hard training. Saying that though, if she does TNF50, she could probably win it outright! Who were the top girls at cradle? I don’t remember seeing of the strong girls there. Yep, spot on Rob, not an overly strong girls field… She was giving the podium outright a nudge and challenging guys like Matt Cooper who’s a 10:30 TNF runner… But yes we wait to see how things stack up in a strong girls field. Seeing her run the last leg of Cradle this year Hanny looked like she was having fun out there on the trail pushing Coops along. She didn’t look like she was racing hard though, and I suspect she took the race easy as she tested herself over the distance. Hanny should probably be racing Tarawera next month. She would give the likes of Anna Frost, Emelie Frosberg and Ruby Muir a good scare. Good Q&A’s , i like the mentality of quality over quantity;ive always done less kms than most but put in 100% with no ‘soft’ runs. Would have been a good hitout between her and Sarah Biss in NZ in a couple of weeks seeing they both have speedy legs and not an overly mountainous course…. The presence of a new elite female to the trails reminds me of Emma Murray , the best female trail runner ive seen, and if you were running six foot, unless you ran sub 3.35 you were gonna get “chicked” !! anyone know what happened to her ?